We are pleased to see that for the tenth year in a row, and 11 years since the Lookout Pack was established in 2008, Washington’s wolf population grew in 2018, including increases in the number of confirmed packs and successful breeding pairs; important metrics for state recovery goals. Map of confirmed 2018 wolf packs below. Watch a timelapse video showing pack expansion over the past eight years here! Or learn about the science on wolf-livestock conflict. A map of confirmed Washington wolf packs as of December 31, 2018. See presentation for more. Map: WDFW. Check out charts and graphs showing wolf recovery in Washington below! Or view this information as an infographic (PDF). As welcome as this good news is, Conservation Northwest remains concerned about the absence of confirmed wolf packs in the Southern Cascades and Northwest Coast Recovery Zone. There have been reports of wolves and documented tracks in the Cascade Mountains south of I-90 for several years, but packs have yet to be confirmed in this area of high-quality habitat. Through our Range Rider Pilot Project and other efforts, we’ve spent significant money and effort working with local ranchers to reduce conflicts and promote coexistence between people and wolves. However, three of 2018’s wolf removals were in northeast Washington’s Kettle River Mountain Range. This area continues to be a chronic hotspot of conflict where both lethal removal of wolves and cattle losses cause great social angst. Conservation Northwest is continuing to work in the field through its Range Rider Pilot Project, in partnership with the local grassroots Northeast Washington Wolf Cattle Collaborative, with the Department, and on the WAG, to improve the quality and fit of proactive deterrents in this landscape. And to make the state’s Wolf-Livestock Interaction Protocol more responsive to reduce loss of both wolves and livestock. 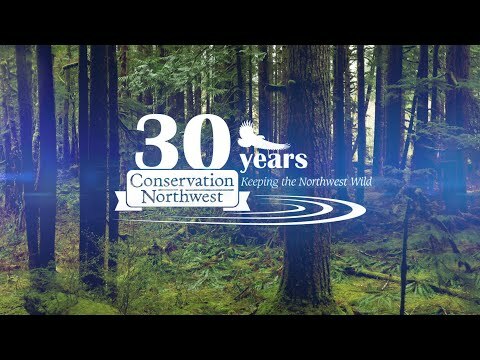 A regional non-profit organization, Conservation Northwest has been actively engaged in wolf recovery and conservation in Washington for well over a decade. In 2008 the group discovered the first wolf pups born back in the state in nearly a century—the Lookout Pack in the Methow Valley. The organization played an active role in the formation and approval of Washington’s science-based Wolf Conservation and Management Plan (Wolf Plan) in 2011, and has long participated in the state’s Wolf Advisory Group (WAG), represented by Policy Director Paula Swedeen, Ph.D. In addition to advocating for wolf conservation and management policies that further long-term recovery and acceptance alongside thriving local communities, the organization leads the Range Rider Pilot Project, a collaborative effort with Eastern Washington ranches, now in its ninth year, to implement non-lethal conflict avoidance measures that reduce or prevent depredations on livestock. Learn more in the state’s presentation on it’s 2018 Annual wolf report, or watch our TIMELAPSE VIDEO of wolf pack growth.